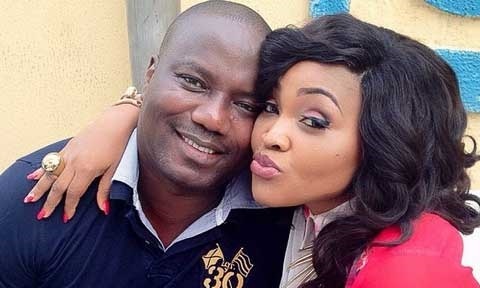 Lanre Gentry is blaming Lagos state as the source of his marital woes, after his wife, Nollywood actress, mercy Aigbe accused him of domestic violence. Lanre Gentry is wondering why his celebrity wife will accept to be an ambassador for widows when he is still alive. The hotelier asked this question about his estranged wife, Mercy Aigbe, while blaming authorities in Lagos for destroying his marital home. Mercy Aigbe was recently named alongside Desmond Elliot as widows’ liberty ambassadors by the Felix King Foundation. 31-year-old Opemititi Ajayi, recently threatened to sue the actress for labeling her a prostitute and husband snatcher. Aigbe was said to have granted an interview to Broadway TV, where she accused the complainant of having an affair with her estranged husband.